We’ve all heard the rumors of a new “Sub-TSX” model coming next year, many predicting the return of the RSX nameplate. Whether or not it will wear the RSX badge is still uncertain, but from the spy shots caught last month it looks like it won’t be a two door coupe. Garrett Bradford brings an interesting rendering of what a future RSX Coupe would look like based on the Honda CR-Z. 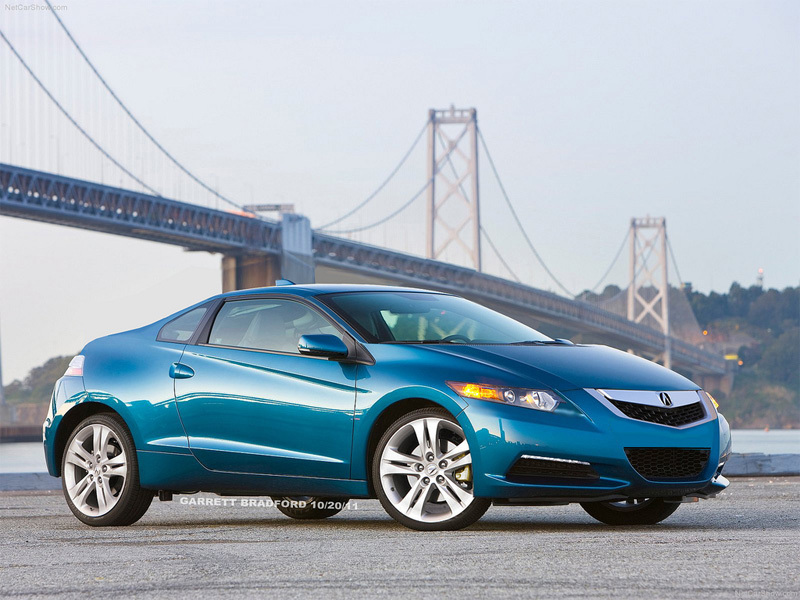 Looking larger and beefier than a CR-Z, it actually works pretty well with the Acura grille. What do you think of Garrett’s RSX? *Shudders*… There’s a photo of the camouflaged sub TSX on Temple Of VTEC, maybe it is better if the picture is based on that. Old Honda coupes are just a cutaway form of their sedan counterpart, but new Honda coupes like the Accord has a different aggressive front end compared to the sedan counterpart. 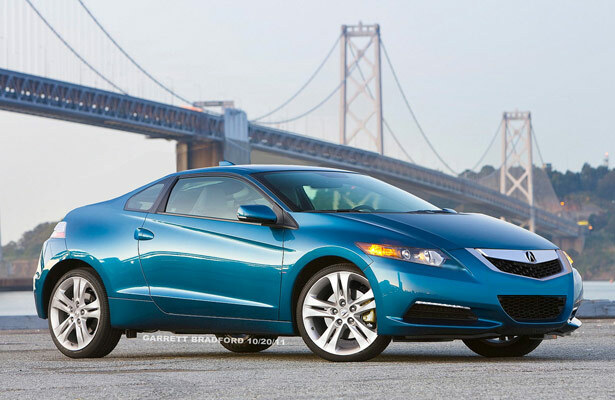 The CR-Z angled lines are not in “line” so to speak with Acura chiseled strong lines. Still good work on the chop though. As one of the first Acura customers (near Honda HQ, Torrance), I feel strongly compelled to tell you to get rid of the “shield grill”. If you have to inform customers (TV Ad’s) that there are emotional elements in your designs, you’re dead! Nissan, Mazda, (and with the return of US retro design), your “transformers” and “robots” look like the cheapest diecast cars. I still own (my Acura Integra 1988 – A+ condn), and hopefully you’ll design something at least as nice as the RSX-S. Do not mix (or integrate) Civic, CRZ design into the new car (coupe). It’s a sad day when Acura is full of sedans and Mazda has developed the super cool “MX-5 Super 20”. Your doors have been officially “blown off”! Don’t make all your cars for geezers, and people who own $50,000 SUV’s that will never touch a molecule of dirt! hopefully future cars like the nsx will come through and deliver what we all want just like the old nsx and keep updating the car as the years go on dont have it like the old nsx and dont change the styling and performance etc..